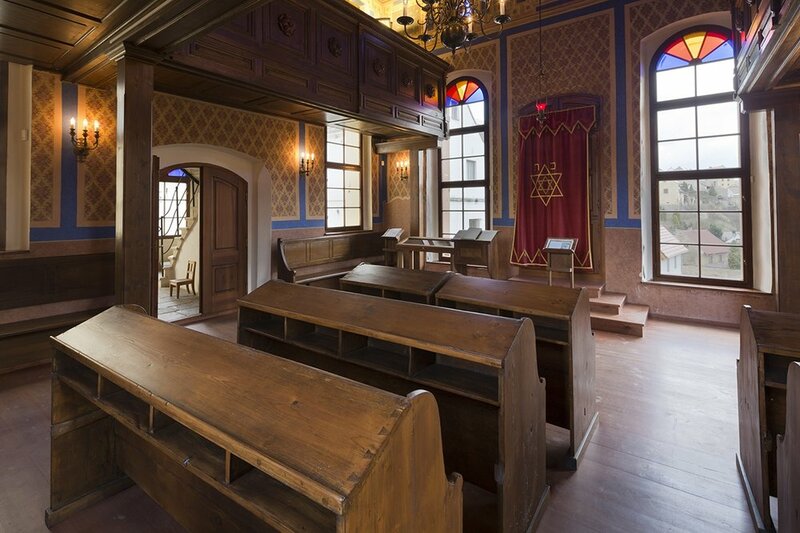 A century ago, there were about 400 synagogues in what is now the Czech Republic. From the beginning of the Nazi occupation in 1938, to the end of WWII, about 70 synagogues – many of them prominent, ornate buildings – were destroyed. Under the post-war communist regime, about another hundred synagogues in the remaining towns were also demolished. Most of the remaining structures were converted for other use (about 40 were turned into churches and an additional 48 converted into residences). Many were used as warehouses or stood empty and neglected throughout the communist period. 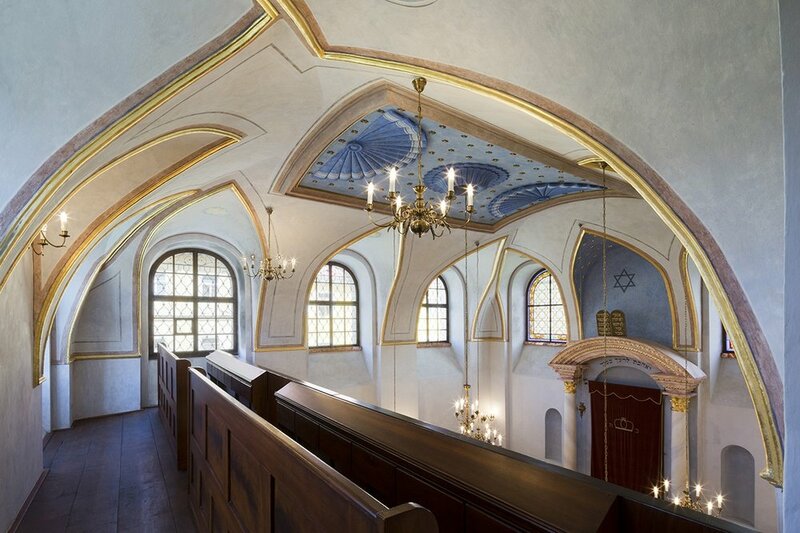 Today, approximately 200 synagogue buildings stand in cities, towns and villages in all parts of the Czech Republic. Only a few are active houses of worship, but dozens have been beautifully restored and serve as museums or other cultural venues. In addition, there are more than 340 Jewish cemeteries. Many date back centuries, and some have been designated as cultural landmarks. Traces of former Jewish quarters still exist in 180 cities, towns and villages across the country. 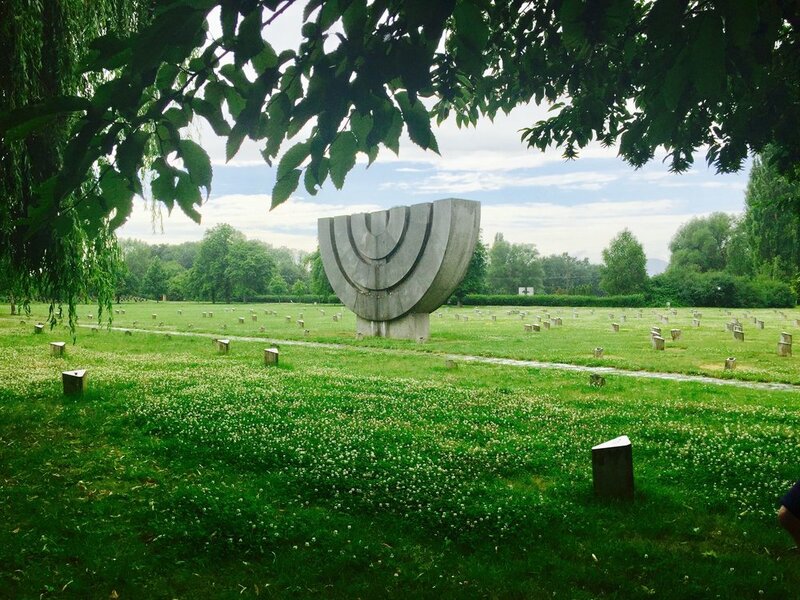 Join The Defiant Requiem Foundation as we explore the Jewish history and heritage of Czech Republic, and its continued modern day revitalization. 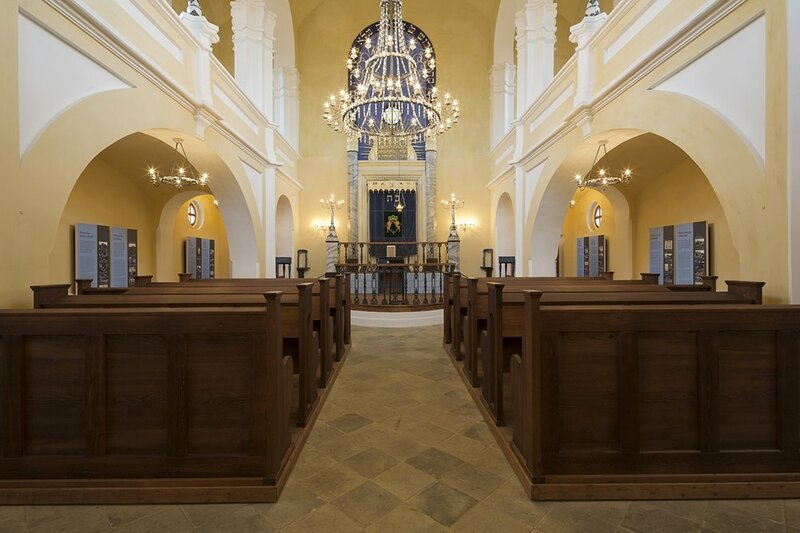 The 10 Stars Tour is a unique, first-of-its-kind journey exploring the rich Jewish history of the Czech Republic with visits to nine synagogues and other nearby buildings beautifully restored as part of the 10 Stars Revitalization project. 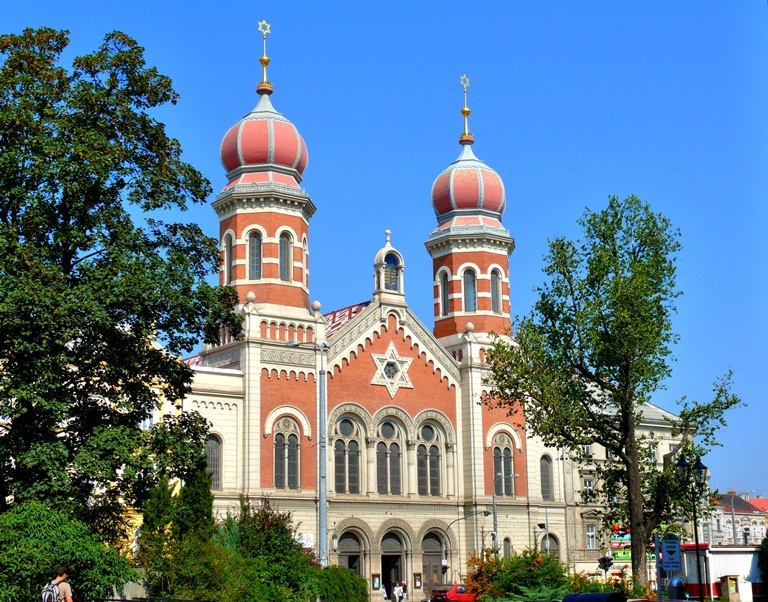 From our home base at the Five-Star Hilton Prague Old Town, this professionally guided tour includes day-trips to these important synagogues and their surrounding communities. Each stop will feature a historical and musical program created specially for that location, with speakers including Tomáš Kraus, Secretary of the Federation of Jewish Communities in the Czech Republic, and guests and leaders from the local community. We'll also visit Prague Castle and all the important sites in the Old Jewish Quarter in Prague. The tour concludes with a private, guided tour of Terezín led by a Survivor; the annual Terezín Commemoration Ceremony followed by a performance of Maestro Murry Sidlin's newest concert-drama, Hours of Freedom: The Story of the Terezín Composer; and a farewell dinner cruise on the Vltava River. Arrive in Prague and transfer independently to the Hilton Prague Old Town, our home base for the week. Situated at the gates to Old Town, the hotel is within walking distance to shops, restaurants, and attractions. 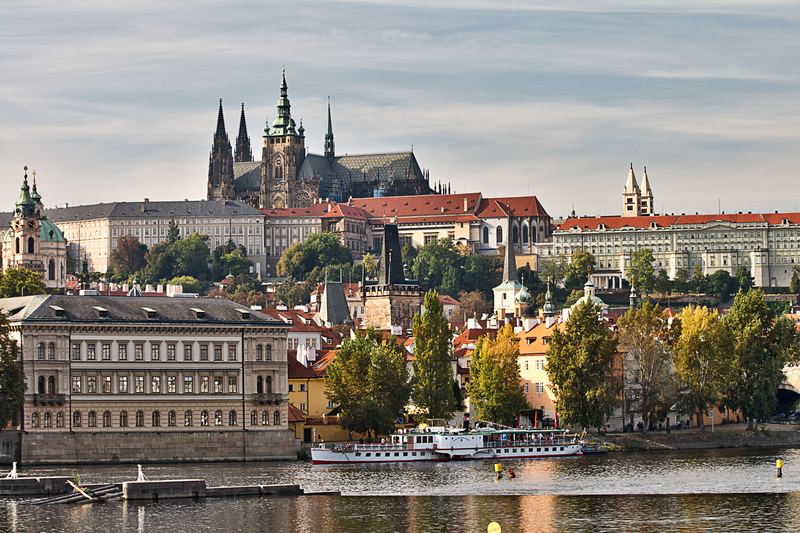 The city's landmarks – including Old Town Square, Wenceslas Square, and Charles Bridge – are a 10-minute walk away. After getting settled, join your tour companions, guide, and Foundation staff members for a welcome reception at a nearby restaurant. We begin the day with a short ride to the beautiful Prague Castle complex and stunning views of the city. We’ll visit St. Vitus Cathedral, a Gothic masterpiece, and the spiritual symbol of the Czech nation. Construction of the Cathedral began in 1344 and took almost six centuries to complete. From there, we’ll walk the cobble-stone lanes and passageways of colorful baroque houses of Lesser Town before crossing the 750 year-old gothic Charles Bridge stretching over the Vltava River. Once in Old Town Square, with its famous Astronomical Clock from the 1400’s, we’ll break for lunch. Our guide will be available to make recommendations. In the afternoon, we visit the world-famous Prague Jewish Town, known as Josefov. This part of the Prague Old Town was an independent Jewish enclave from the 13th to 19th centuries. It was one of the largest and most important centers of Jewish life in medieval Europe. Maharal, Kafka, Freud, Herzl and Einstein once lived, thought, taught, created and walked the streets of this district. Our possible stops include the Maisel, Pinkas, Klausen, Old-New and the Spanish Synagogues; Old Chevra Kadisha; Kafka’s Birthplace; and the Old Jewish Cemetery – the most remarkable of its kind in Europe. We’ll conclude our visit to Josefov at the historic 16th Century Jewish Town Hall. Here we’ll enter a building rarely open to the public for an orientation session with Tomáš Kraus, Secretary General of the Federation of Jewish Communities in the Czech Republic, and one of the co-organizers of the 10 Stars revitalization project. He will give us background information on the project, and the buildings and communities we’ll be seeing throughout the week. Following orientation, it’s a 20-minute walk back to the hotel. Our route includes the world-famous Pařížská Street – Prague’s version of Rodeo Drive or Champs Elysées Street in Paris – and the last known residential address of Rafael Schächter before the war. The evening is free. We’ll travel by deluxe motor coach to Jičín, one of Bohemia’s most fascinating historic towns. Beginning as a relatively unimportant market settlement during the Thirty Years War, it grew into a major economic, political and cultural center of the kingdom. The famous Czech warlord Albrecht of Wallenstein had his seat here and his tolerant reign led to a tremendous boom in the Jewish community. A significant portion of the town still includes the former Jewish ghetto with a Jewish street, the Jičín Synagogue and Jewish school, and a dozen Jewish houses. On the return to Prague, we'll stop in Brandýs nad Labem (Brandeis). 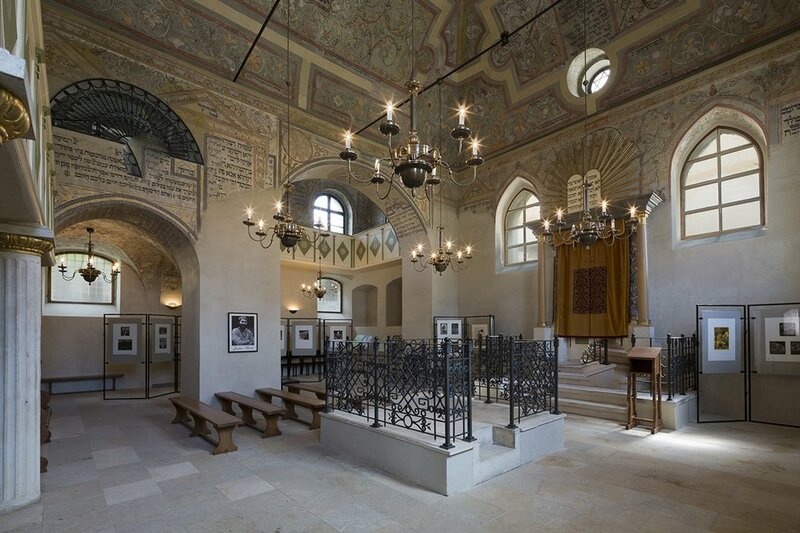 Originally an imperial Summer Palace of the Habsburgs, it had a thriving Jewish community until the Holocaust – of which a reconstructed synagogue, a rabbinical house with exhibition on “The Sources of Judaism” and one of the oldest Jewish cemeteries in the country – are left intact. Lewis Brandeis’ ancestors immigrated to the U.S. from this village. Here we’ll visit the synagogue and cemetery. From Brandýs it is about 20-minutes back to Prague where the evening will be free. Březnice is located 75 km (47 miles) southwest of Prague. The synagogue here was built in 1725. Following the great fire of 1821, it was rebuilt in its original size and form thanks to the help of the Count of Kolowrat. As a sign of gratitude, the Kolowrat family’s coat of arms was placed inside the synagogue. The main hall in the building’s northern part features a barrel-vaulted ceiling with arched windows. These stained-glass windows are the work of inventor Emanuel Červenka, the son of the Březnice shamash, and the decorative wall paintings are by academically trained painter Ladislav Kuba; both date from the first decade of the 20th century. Above the Aron Kodesh (Torah ark) is a Hebrew inscription with the verse “Thou shalt love thy neighbor as thyself” (Leviticus 19:18). In 1942–1945, 201 Jewish citizens of Březnice died at the Terezín ghetto and in Auschwitz. After the war, only two survivors returned. An hour northwest of Březnice is Pilsen (Plzeň). One of the largest Czech cities, Pilsen is home to the world-famous Pilsner Urquell Brewery and Škoda Cars. It is a former royal stronghold and underwent an economic and urban boom during the industrial revolution in which its Jewish citizens played a crucial role. Pilsen boasts the largest square in the country, highest tower and the third largest synagogue in the world. It became the easternmost European city liberated by the U.S. Army in WWII. We’ll begin our time in Pilsen with lunch, followed by a tour and tasting at the Brewery. After the tour, we’ll visit the Great Synagogue. While not part of the 10 Stars Project, it is the second largest synagogue in Europe and third largest in the world. A blend of Romantic and neo-Renaissance styles, it also features the onion domes of a Russian orthodox church. The synagogue is still in use today, but as the current community numbers only about 100 people – a fraction of the prewar number – services are mostly held in the small side room, known as the winter prayer hall. From the Great Synagogue, we’ll head to the Old Synagogue, which was built in 1859 as the predecessor to the Great Synagogue. The main hall features a two-story women’s gallery on wooden pillars. The decoration of the wooden Torah ark was restored during the building’s renovation in 2010–2014. Following construction of the Great Synagogue on Sady Pětatřicátníků Avenue in 1892, the Old Synagogue was used only occasionally for events. Today it is an actively consecrated synagogue. In 1875, the Auxiliary Synagogue was erected immediately adjoining the Old Synagogue. In the 20th century, the Auxiliary Synagogue was used as a storehouse. Presently, only its outer walls remain; these were repaired and the building’s interior was converted into a monument to Plzeň’s victims of the Holocaust – a garden with the victims’ names written on stones. 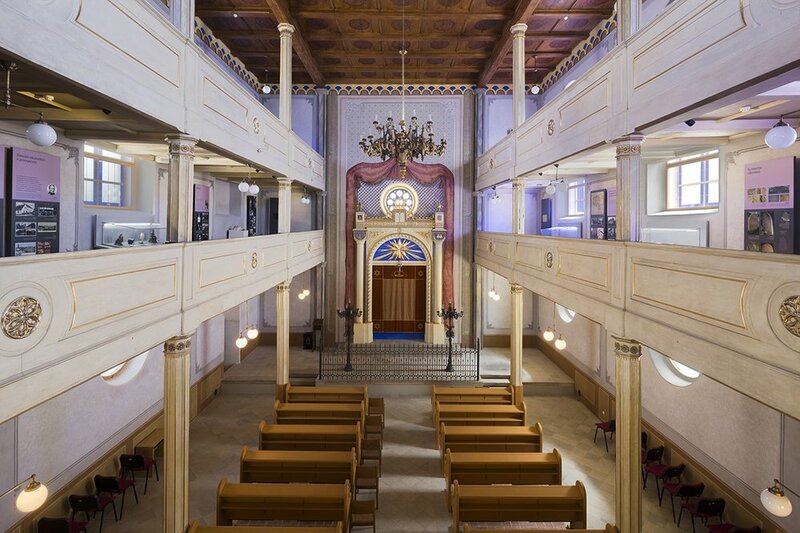 Following our visit to the Old Synagogue, we’ll break for dinner (of course, our guide will be available to make recommendations) and, after dinner, we’ll reconvene at the Old Synagogue for a concert by Veretski Pass inspired by the Bohemian and Moravian Jewish music of the region. After the performance, we’ll return to Prague, about one hour and fifteen minutes away. Today, we’ll pack an overnight bag for our multi-stop journey that ends in Brno. First we’ll travel to the Nová Cerekev Synagogue, about 90-minutes from Prague. The local Jewish community established its first prayer house here in 1693. In the 18th century, a low wooden prayer house with residential quarters was constructed, which was used until the middle of the 19th century. The new synagogue was built in 1855 on the site of the former prayer house as a triple-nave building in the “Babylonian-Assyrian style” It is a dominant landmark in the northern part of town, and together with the parish church, forms the town’s distinctive skyline. From Nová Cerekev, it’s one hour to Polná. Here we’ll see a remarkable ghetto founded in the 17th Century, consisting of more than 30 picturesque Jewish houses built around two squares between which a renaissance stone-and-brick synagogue was built in 1684. In 1861 the synagogue was significantly modernized: the old vaulting was torn down, the walls and ceiling raised by 1.5m (5 feet), a new women’s gallery was constructed with a stone staircase, and the interior was decorated with wall paintings featuring Gothic tracery. Services were held in the synagogue until the fall of 1941, after which the interior furnishings were destroyed and the building used as a warehouse. Our stop in Polná will also include a break for lunch. For centuries, Boskovice (one and half hours from Polná) was among the most important centers of Jewish settlement in Moravia. The original Communal House – an integral part of the historically significant Jewish Quarter – burned down during the catastrophic fire in the ghetto in 1823. The new building was built in the Empire style using blueprints by Mathias Floch, the architect of the local nobility. It is a large, two-story structure with a gabled roof, a segmented facade, and a vaulted ceiling on the ground floor. It once housed the community’s municipal office, schoolroom, study room, the rabbi’s and hospital administrator’s quarters, and a matzo bakery and storeroom. A little less than an hour from Boskovice is Brno and the Grandezza Hotel Luxury Palace. A newly opened boutique hotel, it is located in the heart of Brno's historic center: The Green Market. Most guest rooms offer a view over the traditional marketplace and its centerpiece baroque fountain, as well panoramic views of the city. After checking-in, we’ll enjoy a group dinner at the 19th Century Jewish-style Stern Original Restaurant. The second largest city of the Czech Republic, the Moravian capital Brno lies in close proximity to Vienna to the South, Bratislava to the East, and Krakow to the North. It has the second strongest Jewish community in the Czech Republic, with an active synagogue, JCC, kindergarten, mikve, ulpan and a very strong presence of Israeli medical students. Brno also boasts one of the richest collections of buildings designed in the Bauhaus style in the world. 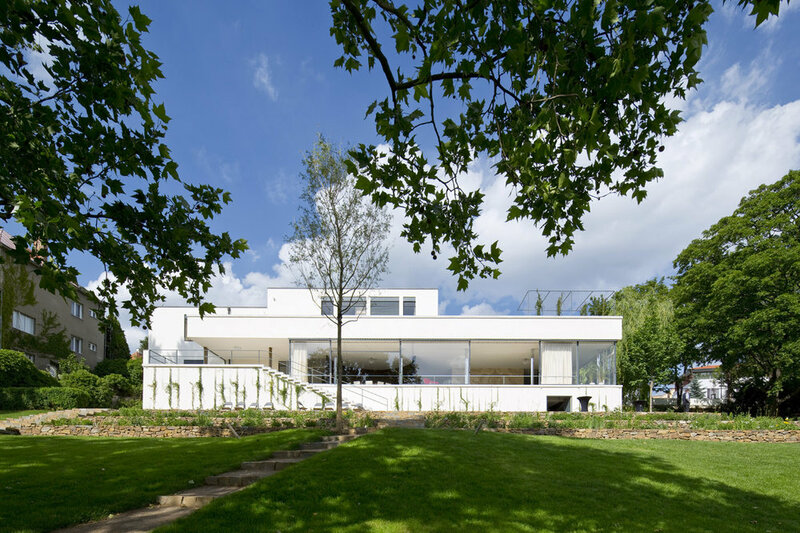 Many of the original architects managed to escape Hitler in the late 1930's and made significant contributions to the architectural development of Tel Aviv, New York, and Chicago. We’ll begin the day with a short visit to The Brno Conservatory where many notable Czech musicians – including Rafael Schächter – studied before moving to Prague. Next we’ll learn about Brno’s 20th century history, people and architecture, before finishing our time here at the Jewish Community Building where we’ll have lunch and meet members of the local Jewish community. From Brno, it’s about an hour to the magnificent medieval Jewish ghetto complex in Mikulov. Dubbed the “Pearl of Moravia,” this picturesque renaissance town sits on a white rocky slope near the Czech-Austrian borderline. Due to its strategic position on an ancient salt commercial road between the Mediterranean and the Baltic Sea – and the foresight of its medieval noble rulers – it emerged into Moravia’s Jewish capital during the Middle Ages. Between the 15th and 19th centuries, the majority of the town’s population was Jewish and it served as a religious and judicial center. Today Mikulov boasts a preserved Jewish quarter, one of the largest Jewish cemeteries in the country, and the Upper Synagogue, which was originally built around 1550 and expanded in 1689. Its current architectural look is the result of a 1719–1723 baroque reconstruction following a fire. The building deteriorated badly during the time between the start of World War II and its recent restoration, but now serves multiple social and cultural functions as a museum, concert hall, educational center and occasionally as a place of worship for Jewish tourist groups travelling between Prague and Vienna. It is an hour and a half from Mikulov to Prague, where the evening is free. For suggestions on where to attend Shabbat services in Prague, please speak with our guide. *For those who observe the Sabbath and are not available to travel by bus on Saturday, please contact us prior to registering for the tour so alternative arrangements can be made. Terezín – 50-minutes northwest of Prague – is a redbrick baroque fortress town designed in the 18th Century by the Habsburg emperors to defend against the Prussians. Terezín played a remarkably tragic role during WWII, but its cultural resistance became one of the spiritual symbols of the Shoah. Between 1941 and 1945, the Nazis turned this miniature town into a ghetto, through which some 150,000 Jews from Czechoslovakia, Germany, Austria and other Nazi-occupied territories passed. Prominent personalities, such as professors, artists, musicians, actors, politicians, architects and war veterans, known as the European elite, passed through the ghetto on their way to the extermination camps in the East. This fact was hideously exploited by the Nazi propagandists in one of the greatest scams in human history. Terezín was described as a “self-governed Jewish spa” and a film, called “The Führer Give a City to the Jews,” was made, and screened as genuine newsreel in cinemas across Nazi Germany. Director of the Terezín Memorial, Dr. Jan Munk, will host us for lunch and will speak with the group. We will have the once-in-a-lifetime opportunity to be guided around the camp by a Survivor, learning first-hand about what it was like to be a holocaust victim – and a Survivor. Úštěk is a small, medieval market town in Northern Bohemia 20-minutes from Terezín. Half of the town was a Jewish ghetto between the 15th and 19th Centuries. 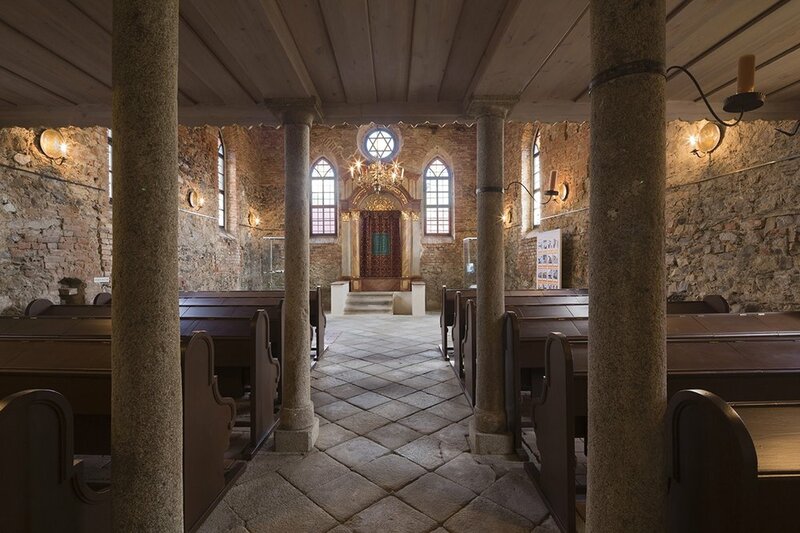 All is preserved, including a synagogue, which was built from quarried stone in 1794. The unconventional neo-classical tower-like structure, built on a square foundation features a classroom and teacher’s quarters located in the building’s basement. During renovations in 1851, a neo-Renaissance entrance hall was added on the northern side to cover the stone stairwell to the gallery and the entrance to the main hallway. The building was also raised by an additional 1.2m (4 feet) to further accentuate its characteristic tower-like shape. Úštěk is one hour from Prague. The evening is free. The Terezín Commemoration Ceremony is a memorial event held every year on the 3rd Sunday in May. 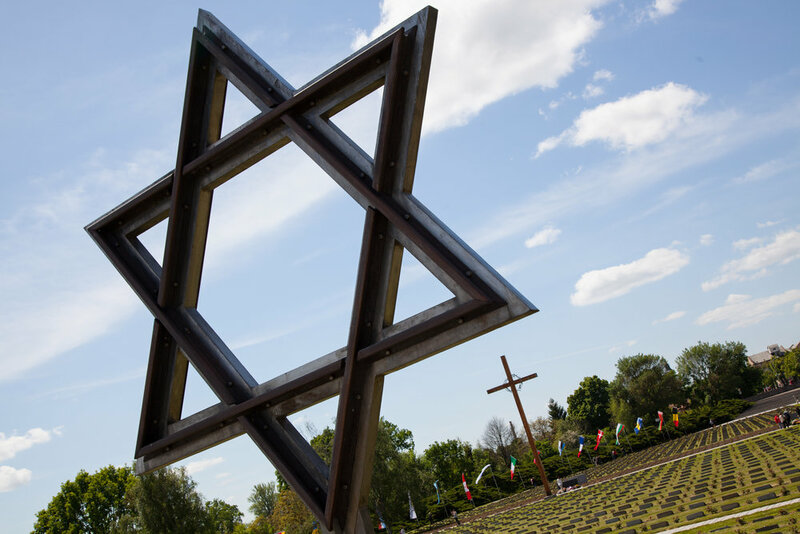 This ceremony, to commemorate the victims of Nazi persecution, begins at 10am at the National Cemetery adjacent to the Small Fortress. The program typically includes speeches by Czech politicians and prayers offered by religious officials of multiple faiths. As most of the Ceremony is in Czech, simultaneous translation will be provided. Following the Commemoration Ceremony a gourmet box lunch will be offered, as options for dining are virtually non-existent. There will be a short break for exploring Terezín independently (admission is not charged on this day) before we reconvene at the Terezín Municipal Riding School. The Riding School is on the Ghetto side of the river and is where the concert featured in the award-wining documentary, Defiant Requiem, was filmed. At the Riding School, we’ll attend the performance of Maestro Murry Sidlin’s newest concert-drama Hours of Freedom: The Story of the Terezín Composer. The performance combines video, music, and narrative to highlight compositions by fifteen composers imprisoned in the Theresienstadt Concentration Camp during World War II. Aware that their lives were fragile, and that deportations to the east were a constant reality, Hours of Freedom explores the need to create new music as affirmation of a future. The concert received its world premiere in this very location on May 17, 2015. After Hours of Freedom, we’ll return to Prague before heading to the Čech Bridge to board our boat for a 3-hour cruise on the Vltava River. We’ll enjoy an elegant dinner as we cruise through the most beautiful stretch of the river – between Vyšehrad and Štvanice – and view Prague's historical monuments from a new perspective; a fitting way to unwind, reflect, and celebrate an extraordinary week of travel, education, and comradery.